WHAT DO YOU MEAN BY HASHIMOTO'S THYROIDITIS? It is an autoimmune condition which is the common cause of hypothyroidism. In Hashimoto’s thyroiditis, the body mounts an immune reaction against its own thyroid gland tissue, leading to inflammation of the gland (thyroiditis). Inflammation from Hashimoto's disease also called as chronic lymphocytic thyroiditis often leads to an underactive thyroid gland (hypothyroidism). It primarily affects middle-aged women but also can occur in men and women of any age and in children also. WHAT ARE THE SYMPTOMS OF HASHIMOTO'S DISEASE? WHAT ARE THE CAUSES OF HASHIMOTO'S DISEASE? 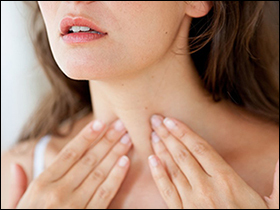 It is an autoimmune disorder in which the immune system creates antibodies that damage thyroid glands. Virus or bacterium might trigger the response. WHAT ARE THE RISK FACTORS OF HASHIMOTO'S DISEASE? Hereditary - There is much more chances to get this if others in your family have thyroid or another autoimmune disease. Radiation Exposure - People exposed to excessive levels of environmental radiation are more sensitive to Hashimoto’s disease. WHAT ARE THE COMPLICATIONS OF HASHIMOTO'S DISEASE? This blood test tells whether the body has the right amounts of thyroid stimulating hormones (TSH) and thyroid hormone. A high level of TSH is a sign of underactive thyroid. When the thyroids begin to fail the pituitary gland makes more TSH trigger the thyroid to make more thyroid hormone. When the damaged thyroid can no longer keep up, the thyroid hormone levels drop below normal. This blood test tells whether the person has the antibodies that suggest Hashimoto’s disease. More than 1 in 10 people have the antibodies but have the normal thyroid function. Having only the antibodies do not cause hypothyroidism. 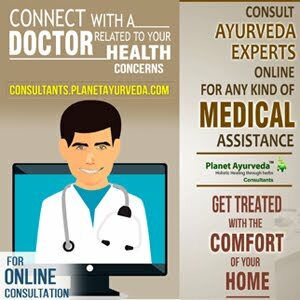 AYURVEDIC VIEW ON HASHIMOTO'S DISEASE? Metabolic residues develop continuously due to improper lifestyle. In case of Hashimoto’s condition, Ama (toxins) accumulates especially in the thyroid. It is prepared by using a natural and pure extract of Gotukola (Centella Asiatica). It is useful in the treatment of symptoms associated with Hashimoto’s thyroiditis such as fatigue, constipation etc. Dosage: 2 capsules twice daily with plain water after a meal. It consists of herbs such as Shilajit (Asphaltum) and Guggul (Commiphora Mukul) are the two main ingredients. 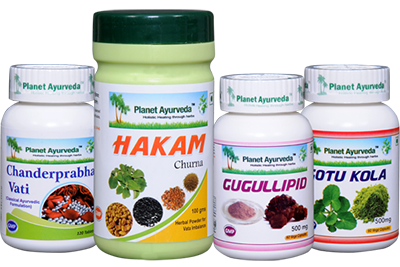 It consists of herbs like Vacha, Mustak, Devdaru, Ela, Musta, Pippali, Maricha, Tejpatra, Haridra, Chavya, Vidanga etc. This product is a nutritional enough that supports healthy functioning of the thyroid. It is very useful to reduce the swelling and pain in the thyroid gland. It helps in thyroid glands to function normally. It helps the balance of thyroid hormones and prevents their imbalance. It is prepared by using a pure standardized extract of Guggul (Commiphora Mukul). It boosts the thyroid function as it increases iodine uptake and enhances thyroid peroxidase in the thyroid gland. It also increases oxygen consumption in both muscle and liver tissues. It has strong effects on the thyroid glands. These capsules are helpful in balancing the Vata dosha of the body and hence an effective herbal remedy for hypothyroidism. It also increases the metabolism of fats and thereby, helps in the burning of fats also, helps in managing weight too. Dosage: 2 capsules twice daily with plain water after meals. All these herbs work in a synergistic manner and help the thyroid gland to function, normally. It maintains the thyroid levels in the normal range. It improves energy and enhances the circulation and digestion as well. It maintains a healthy digestion and metabolism. All this herb used in hakama churna are known to balance Vata dosha effectively. Dosage: 1 teaspoonful twice daily with plain water after meals. What Gives Hair Its Colour ?